With a stay at this apartment in Gramado (Dutra), you'll be within a 15-minute drive of Mini Mundo and Black Lake Park. Free self parking is available onsite. With a stay at Galeria & Hotel Farol da Barra in Manaus (Centro), you'll be within a 10-minute walk of Teatro Amazonas and Saudade Park. When you stay at Fazenda Baía Grande in Miranda, you'll be steps from Pantanal Reserve. Free self parking is available onsite. With a stay at Hotel Estação Tour in Curitiba (Centro), you'll be within a 15-minute drive of Baixada Arena and Botanical Garden of Curitiba. 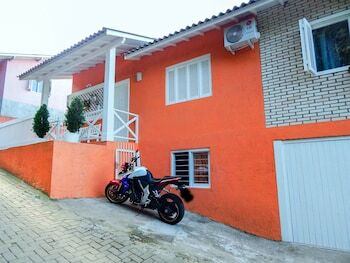 With a stay at this vacation home in Buzios, you'll be minutes from Ossos Square and Ossos Beach. Free self parking is available onsite.